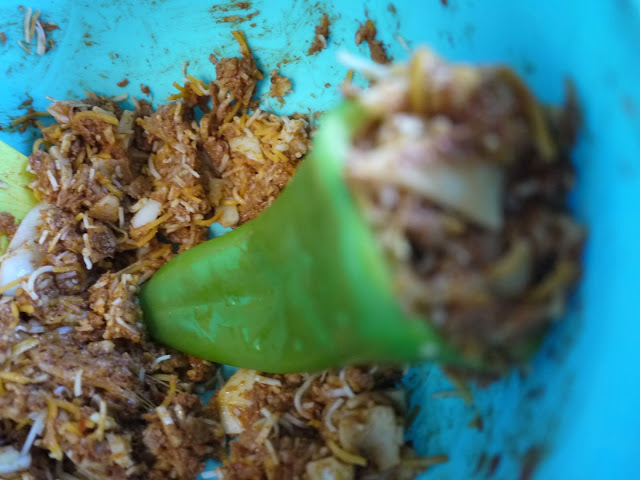 If you are in need of a quick, easy and tasty dinner idea for "Mexican Monday" in your Thriving Home, then look no further! 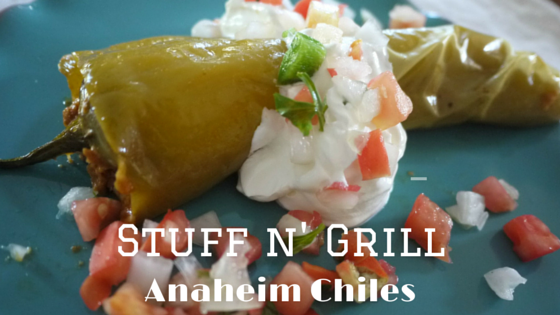 When my TM explained her idea for some stuffed Anaheim Chiles, I this was a recipe worth sharing. 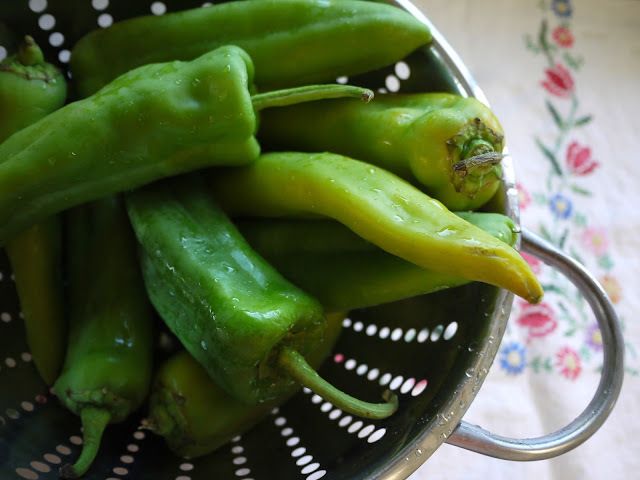 First up, rinse your chiles, grab a cutting board and prepare to gut those puppies. Take a small knife and cut off the tip of the chile. Next, carefully remove all the seeds from the inside leaving it nice and hollow...all ready to be stuffed. Take two small bowls and add shredded cheese to both. Then take your cooked soy-rizo (or chorizo) and add it to one bowl of cheese, mix it up. 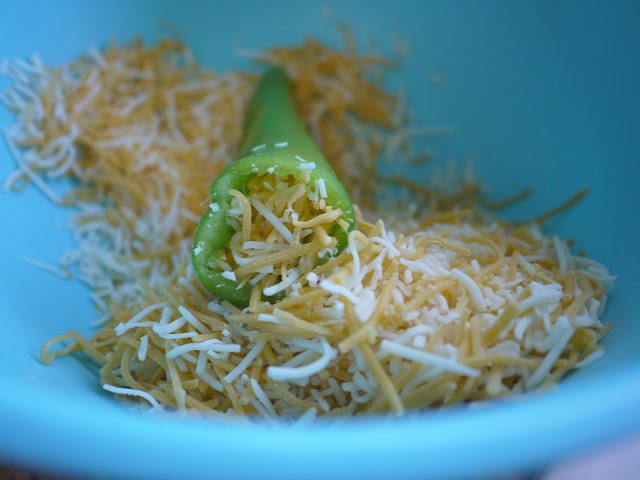 Next, grab a hollow chile and stuff it full of cheese and/or the cheese/meat mixture. You can mix it up with cheese vs cheese/meat or make them all the same, totally up to you. 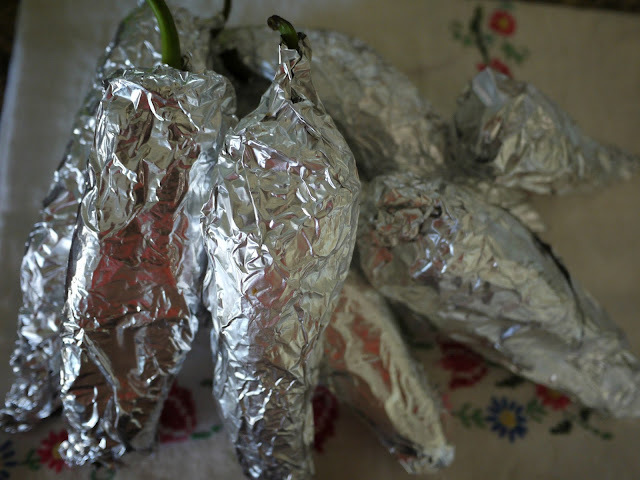 Once your chiles are stuffed, put back on their "top hat" aka stem and individually wrap them in foil. Take all your foiled chiles and throw them on your BBQ for 15-20 minutes or until soft. 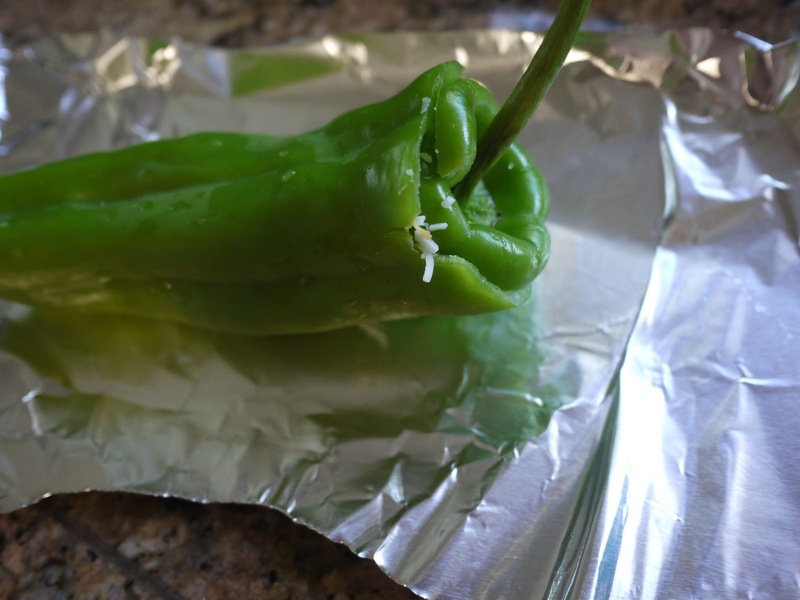 You can always peek inside and make sure the chile has lost its bright green shade and the cheese has melted to oooooey gooooey goodness. 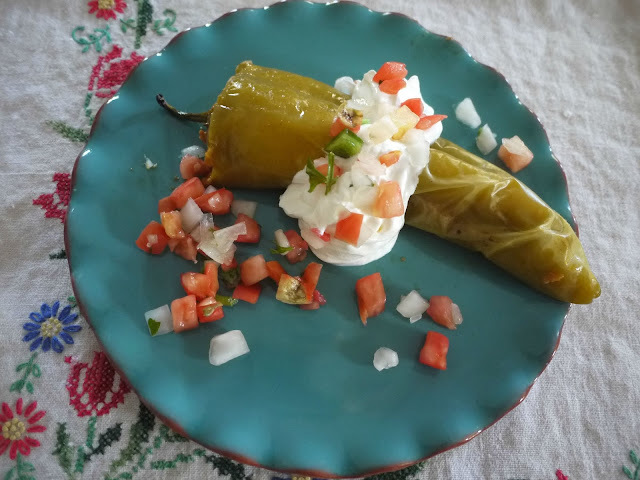 Once they are off the grill, garnish with sour cream and pico de gallo and get ready to fall in love with the heatwave that will take over your mouth. 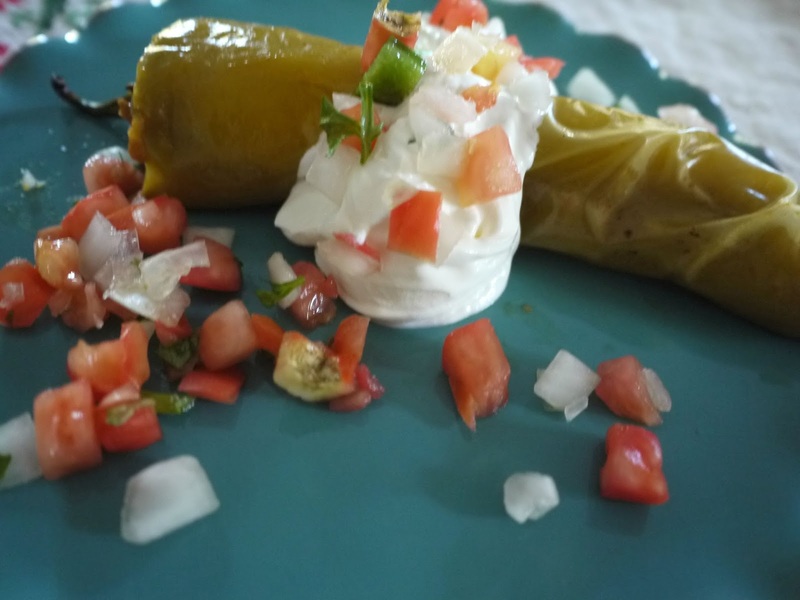 With just enough spice, the hot of the chile plays perfectly with the cool of the sour cream. 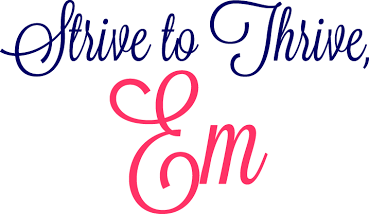 You will be thanking yourself you made more than enough for seconds! 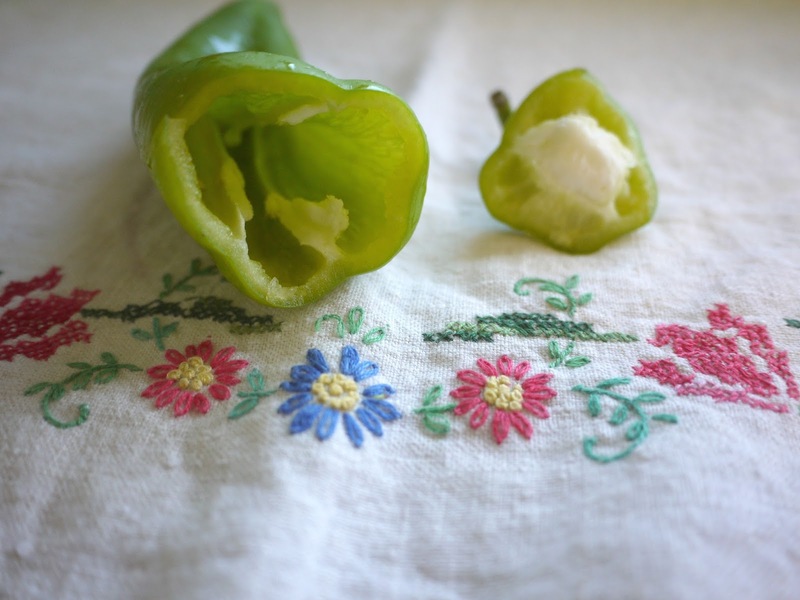 Serve with chips, guac and an iced glass of Sangria. 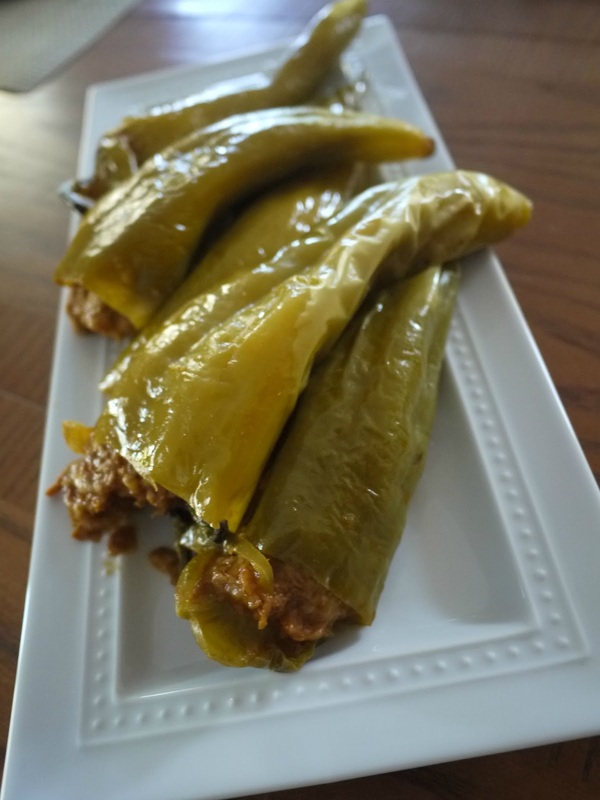 Any other recipes that are a must try? I am always looking to broaden my theme night dinner menus!